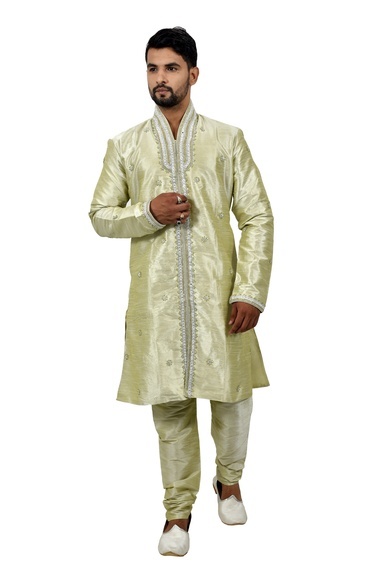 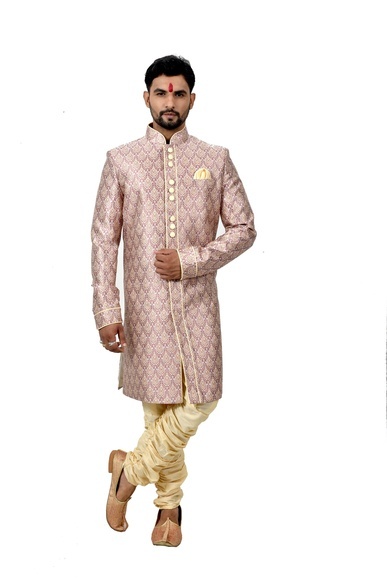 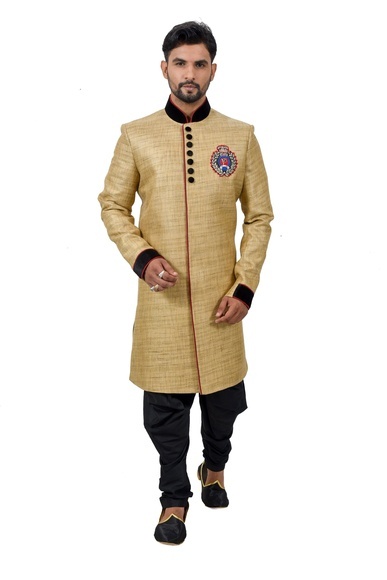 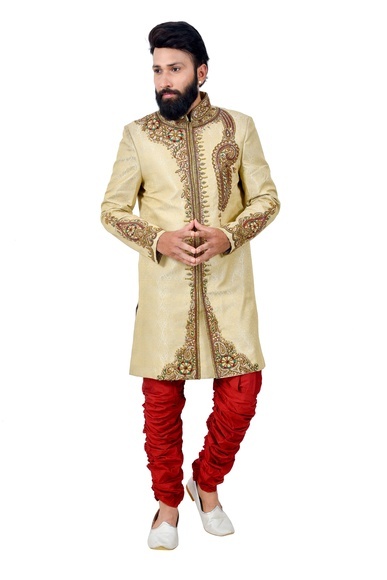 Indian sherwani epitomizes elegance and royalty. 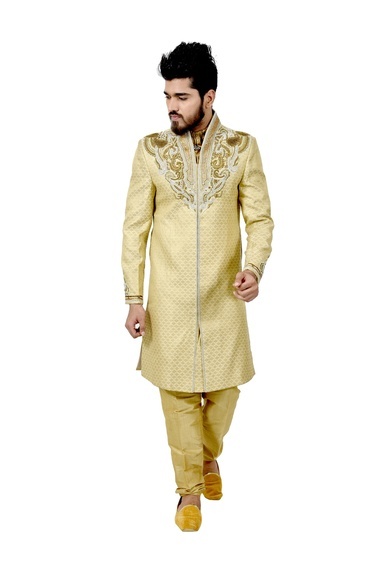 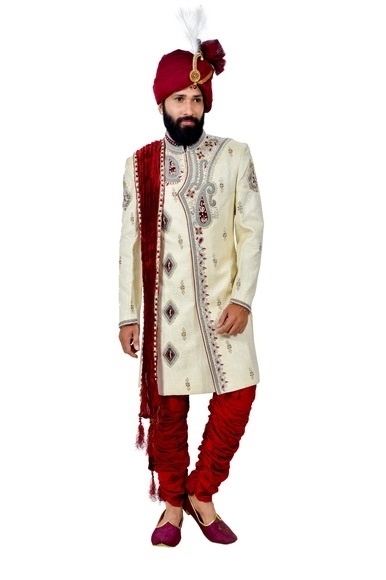 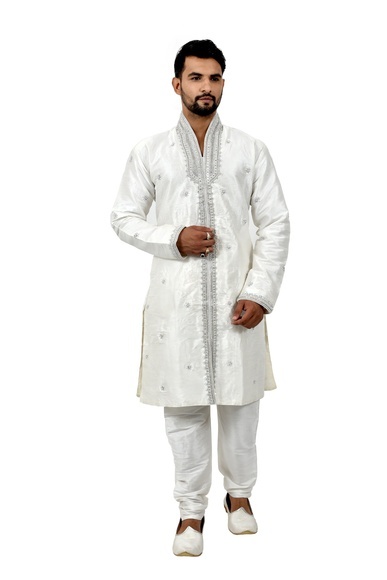 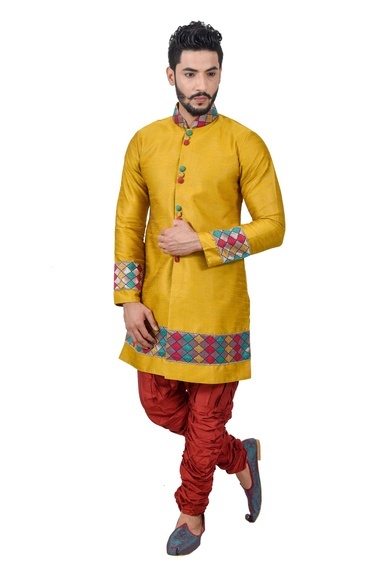 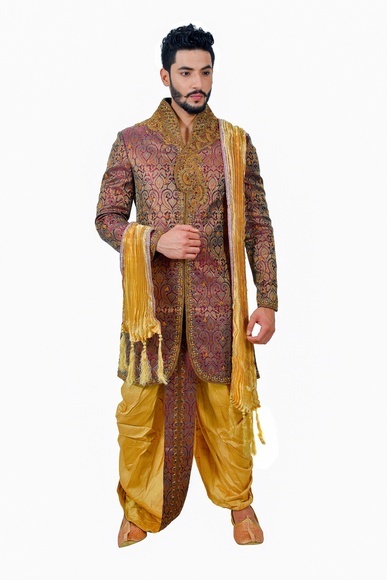 It has been the most worn ethnic outfit by Indian men on the best occasions of their life, especially the wedding. 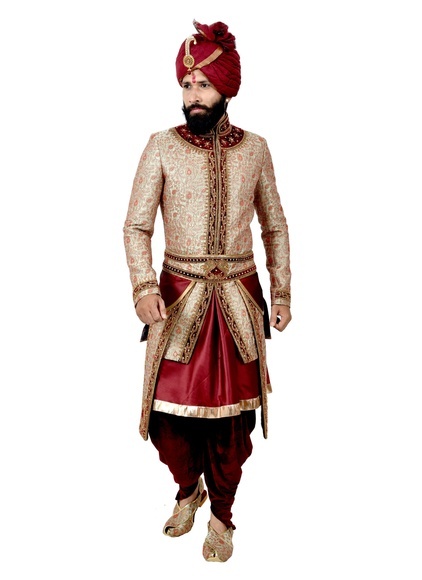 When it comes to getting styled and primped for the big day, Indian men have been matching their brides with the most regal outfit - Sherwanis. 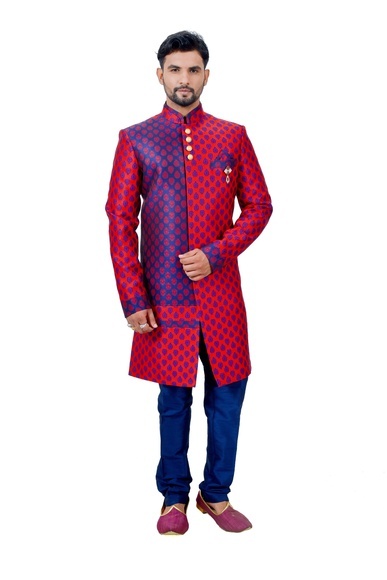 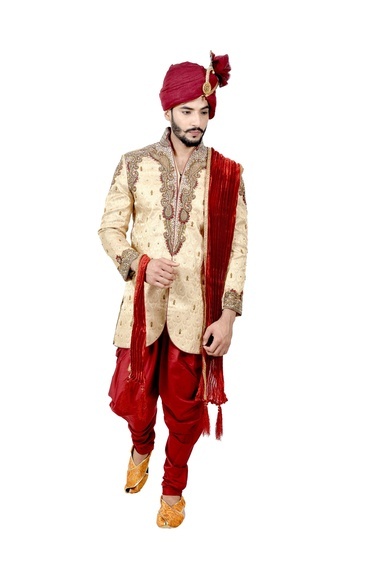 Choosing to buy Sherwani online is the best idea that Indian grooms use to groom themselves for their special day so that they can beautifully complement their bride. 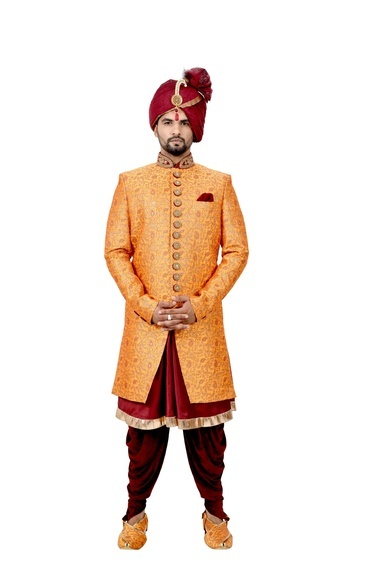 Sherwanis resemble Indian jodhpuri suits and achkans and are quite a jazzier version of western suits. 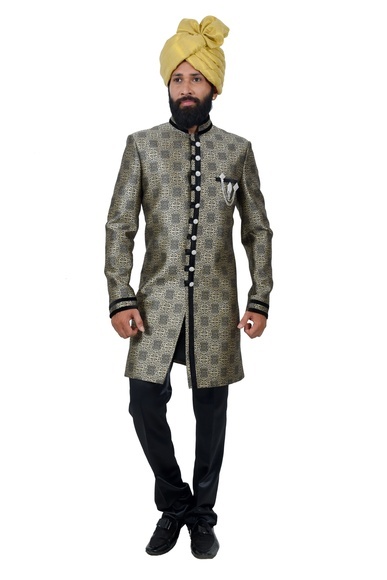 It makes you look smart, suave, and sophisticated and you can never go wrong with it. 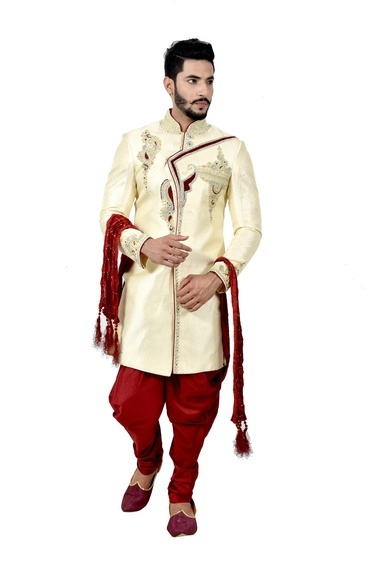 Whether you are celebrating any festival, attending any function, or primping up for your wedding, sherwanis are the best way to amp up your style statement. 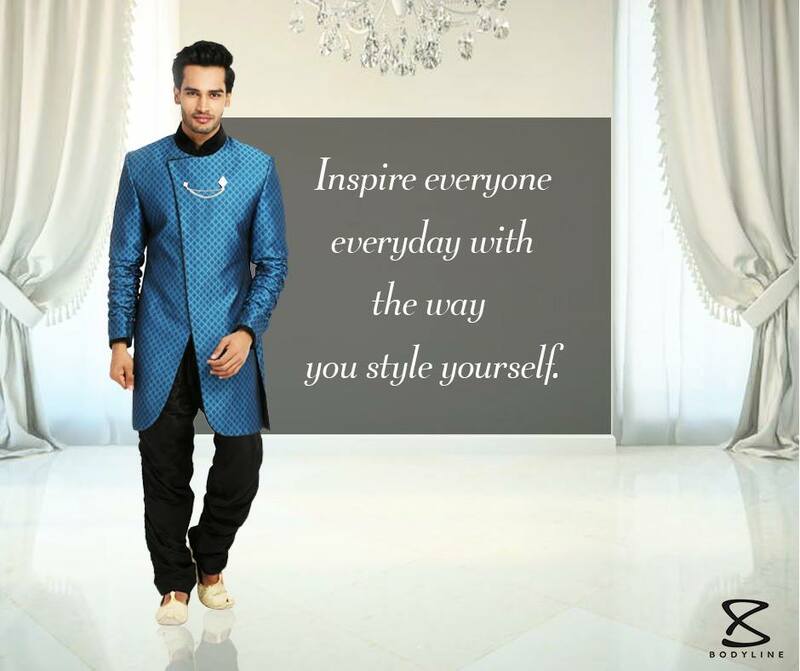 You can choose to buy mens sherwani online from Bodyline Store and embrace the designer outfit by carrying it just right. 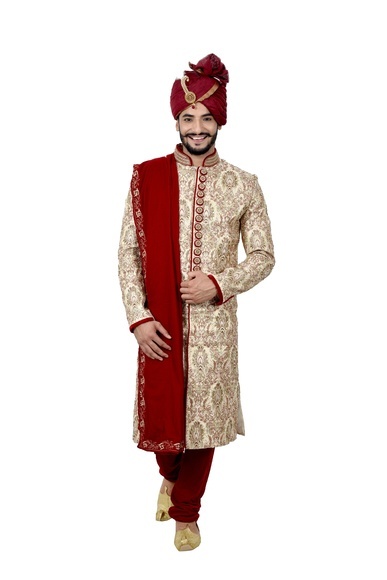 Grace your big day with the classic red and golden wedding sherwani. 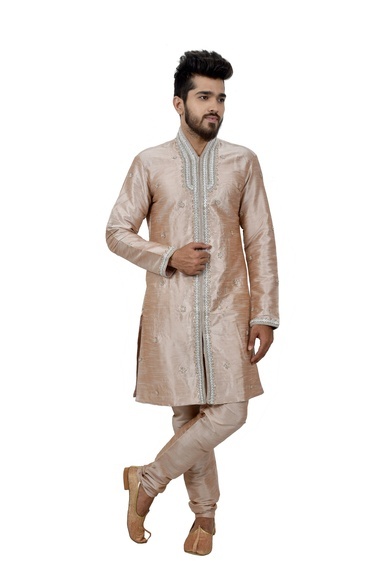 Or go for lighter tones and printed ones to outstand elegantly. 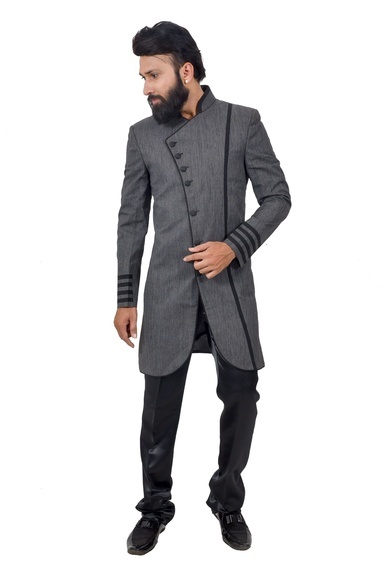 Or choose the classic black which works always. 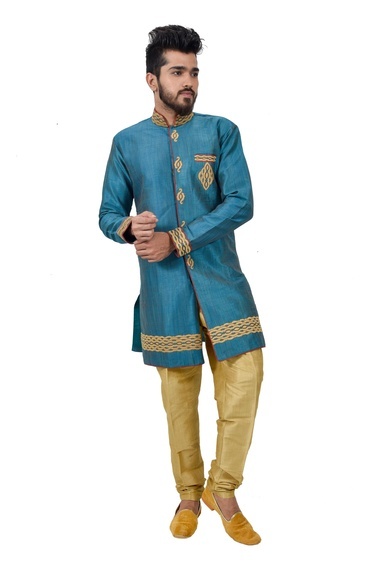 Or prefer drape or asymmetric styles for an urbane look. 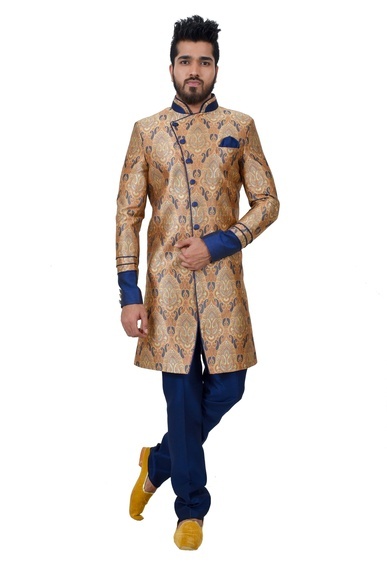 At Bodyline Store, you can order mens sherwani suits online at best price by simply browsing our exquisite collection. 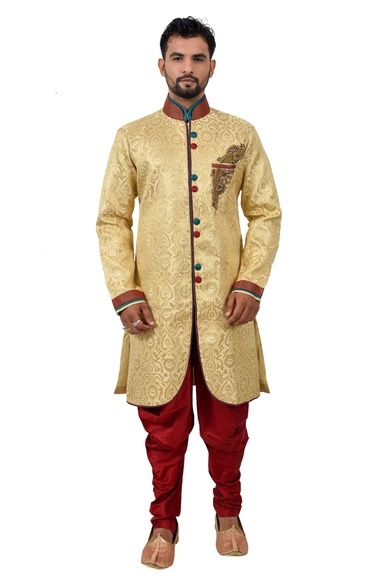 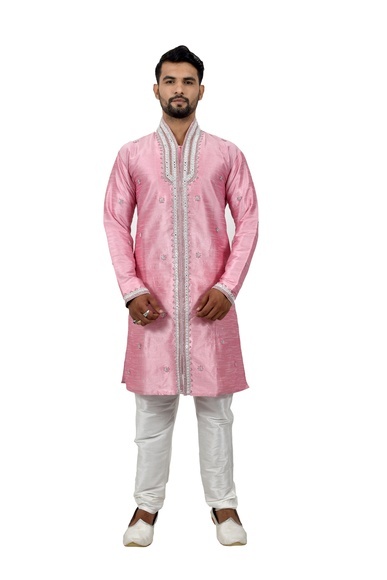 We are an online sherwani store providing style right at your fingertips. 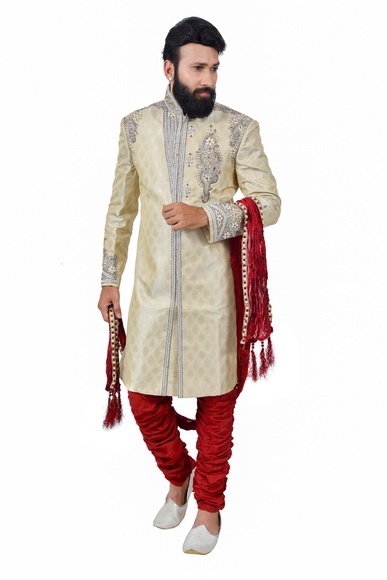 Go contemporary or classy or creative – whichever you prefer by ordering mens sherwani online from Bodyline Store. 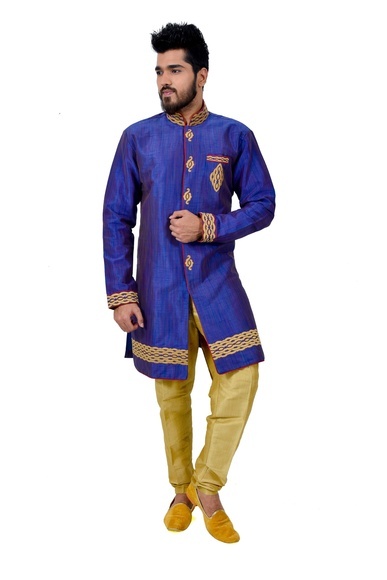 Clad yourself in the most stylish Indian outfit and get ready to create impressions with your charm.